These are devotionals to the noncoding DNA within the human genome, the junk DNA. Are these components doing nothing in not encoding protein sequences? Are they doing something otherwise, perhaps regulating other protein-coding sequences? Who’s to say. Scientists have no idea. Scientists are dumb, according to the guy screaming at me on the corner. He is composed of nothing BUT junk DNA. I’m junk for referring to Wikipedia for all my DNA-related information. 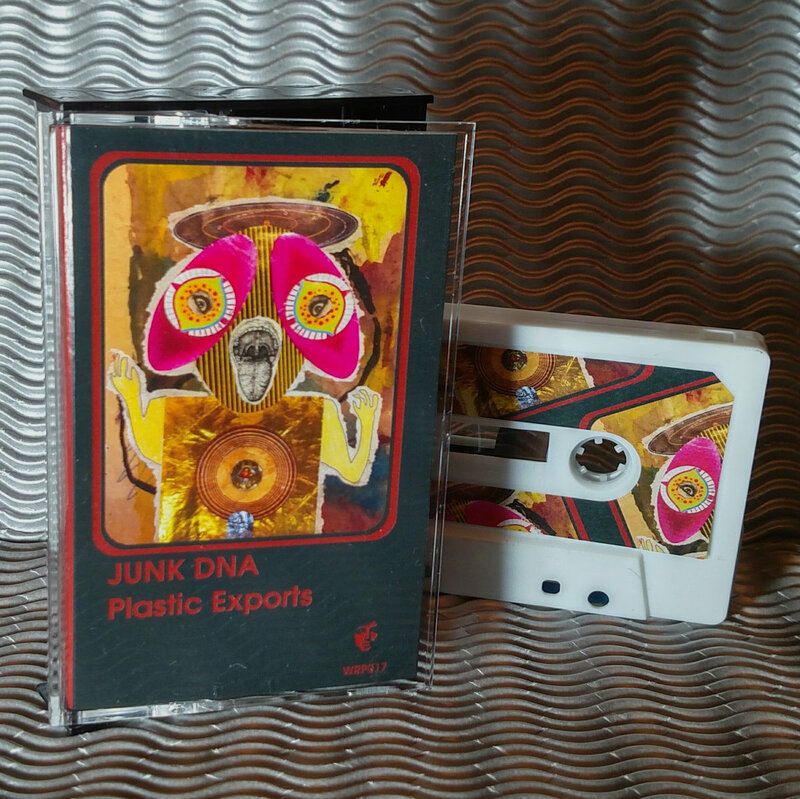 Junk DNA, the proper noun, the artist, the alter ego of Matt McDowell, functions properly. The tracks that make up “Plastic Exports” are devotionals to … maybe not the noncoding DNA within the human genome, but they’re certainly compositions whose molecular structures are 100% active in all aspects of execution. Nothing is wasted. Guitar, bass, vocals, keys, electronics, and field recordings, all performed by McDowell himself, intertwine among themselves like the structure of a double helix; each has its place, its purpose. Together they haunt the collective body, the many who become transfixed and transformed. Evolved. These passages sneak, slink, weave, envelop, and penetrate. They’ve been on ice since 2012 for some terrible reason, only now released into the world for our consumption. And of course, White Reeves Productions is back, too! But after only a year of hibernation, not six years.